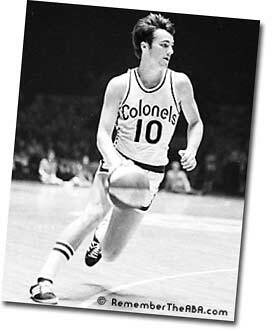 All-American at University of Kentucky; Member of First Kentucky Colonels Team; ABA All-Time Leader in Points Scored, Three-Pointers Attempted, Three Pointers Made, Assists, Games Played, and Minutes Played; Ranks in the Top Ten in several ABA All-Time Categories: 2-Pointers Attempted, 2-Pointers Made, Free Throws Attempted, and Free Throws Made; Member of 1968 ABA All-Rookie Team; Led ABA in Three-Point Field Goal Percentage in 1973-74; Hit 57 Free Throws in a Row in 1971 for a pro record at the time; Holds ABA Playoff Game Record of 18 assists in one game; 7-Time ABA All-Star; 4-Time Member of ABA All-Pro Team; One of only a handful of players to play all nine ABA seasons; Member of 1974-75 Kentucky Colonels Championship Team; Unanimous choice for ABA Top 30 Team. 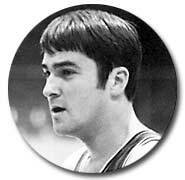 Sound Clip -- May 1973: Dampier discusses his quick initial adjustment to the ABA's red, white and blue ball. 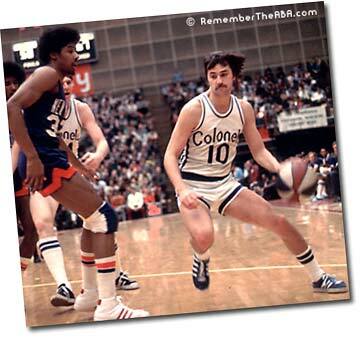 Some ABA players loved the red, white and blue ball, and a few hated it. 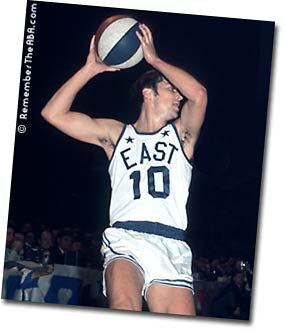 Players who came to the ABA from the NBA tended to dislike the tri-colored ball, fearing that it would affect their long-range shooting. Longtime ABA players, however, were proud of the colors and even enjoyed watching the ball spin in the air during jump shots. 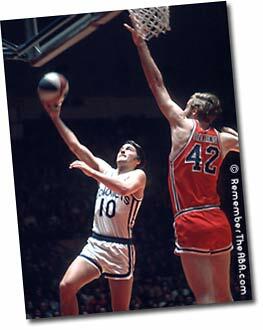 Louie Dampier (at left, the ABA's all-time leader in three-pointers made) was one of those players.